In the past several years Rusty Zinn has followed his muse and put his formidable talent to work in service of the sub genre of reggae music known as lover’s rock. Don’t get me wrong, you can still hear the wonderfully tasteful guitar of Zinn on gigs, as he remains an in demand side man for some of the biggest names in the blues field. He is also a superb vocalist. I don’t think too many examples speak to this aspect of his arsenal better than a cover version by Zinn of an old 5 Royales’ tune which accidentally ended up on that wonderful box set of music put out by Rock Beat Records a couple of years ago commemorating that superlative band. 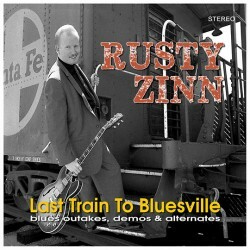 Now after all these years a brand new Rusty Zinn blues CD has emerged from the Redwood forests of Santa Cruz, California, entitled Last Train to Bluesville. This CD stands tall. It is as beautiful, strong and sturdy as those famous trees. This is a huge twenty song, seventy two minute masterpiece of straight ahead blues which features Zinn along with a whole cadre of first rate blues men. 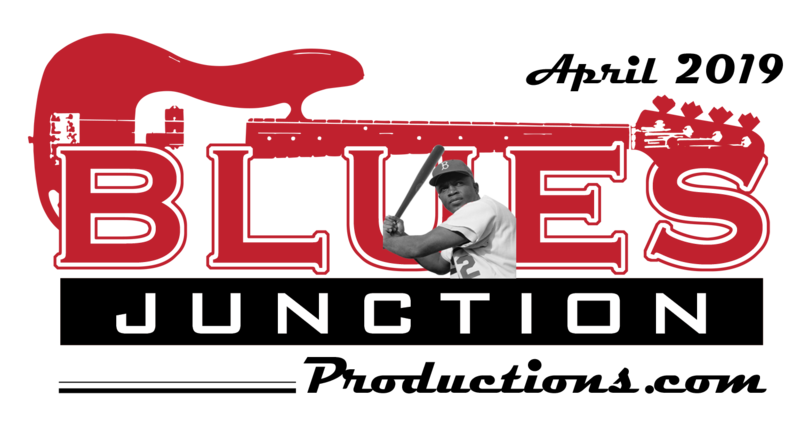 This release comes courtesy of Bluebeat Music. I asked Bluebeat’s Charlie Lange how this massive project came about. He told me that “Rusty came by and dropped off about 100 hours worth of music that he had recorded through the years. He asked me if I would like to try and do something with the material.” Charlie went on to explain that he had worked on this project for about a year. The results are spectacular. The material on Last Train to Bluesville came from five separate sessions which were all recorded in the 90’s when Zinn was a young prodigy. None of the material had been previously released making this a special treat for fans of the extremely talented Rusty Zinn. As far as those first rate blues men are concerned they include Kim Wilson who blows harp all over the record and steps up to sing on a few numbers as well. Ronnie James is featured on bass on several tracks. Richard Innes plays drums on eleven songs. This fact alone is a revelation, as they aren’t making records anymore with the playing of the man widely considered the greatest blues drummer of his generation. Also prominently featured throughout the album is vocalist, guitarist and bassist Dave Myers. Myers is a direct link to Little Walter Jacobs as he was a member of that blues titan’s famous backup band the Aces. His inclusion here represents a strong link in the chain connecting the Chicago and West Coast blues styles that have always been a staple of Zinn’s music. This late year arrival from Bluebeat Music joins a handful of very special projects that Charlie has put out through the years available exclusively through his website. This is the most ambitious, wide ranging album to date and could also be the best. Last Train To Bluesville is an instant classic and a must for any blues library.